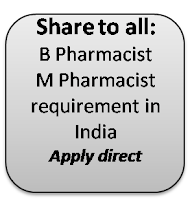 One of our facebook friend, well wisher and a gentle personality, Mr Palash Sha, ( https://m.facebook.com/palash.shah.165) informed us that there is an Urgent requirement of B.pharma / M. Pharma graduate in an amazing workspace , that offers handsome salary . This is a hospital monitored medical retail counter. The hospital is located in shujalpur (india) and it is a 150 bedded hospital which will monitor the medical retail store. 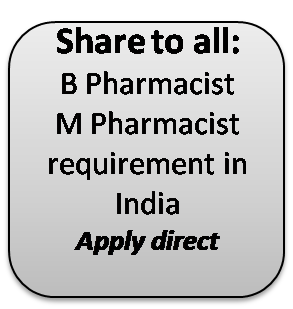 Nowadays, many pharmacist friends from Nepal and Bangladesh are requesting us to post jobs from India, as they are highly paid. Hopes that Mr Palash Sha can help you in this matter too. You may contact Mr Palash Sha directly or contact hospital directly. Here is the address and details of what Mr Palash informed us.